Bakersfield Bail Bonds® has been helping families since 1987. Our licensed bail bond agents have helped people in every situation imaginable statewide. Call us now at 661-326-0601 to see for yourself. ¡Se Habla Español! We will provide you with the quickest response. Fast and confident response is what we are famous for. Let our bail bondsmen answer all your bail bond questions and put your mind at ease. 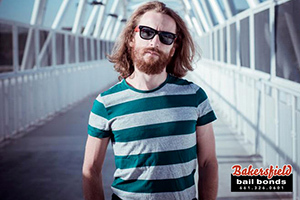 At Bakersfield Bail Bonds®, we believe in going the extra mile to provide professional and courteous bail bond service. Our statewide, family-owned and operated company is staffed 24 hours a day, 7 days a week. What does this mean for our clients? This means that whenever you call us, there will always be a licensed bail bond agent available and ready to assist you. Freedom has been our business for over 30 years and our bondsmen have bailed out thousands of people. We have experienced bail agents who understand the judicial system quite well. There is a good chance we have seen cases and situations like yours before. We understand what your needs are and will strive to exceed your expectations. We offer a *No Money Down Bail Bonds & No Collateral Needed! 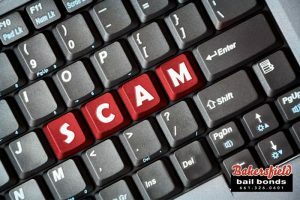 You can contact us through multiple channels for any bail bond information, whether by computer, your cell phone or for the shy person, communicating by the Online Chat. This allows you to always be within a fingers reach of an experienced bail bonds expert. We offer 24 hours fast bail bond service in Bakersfield CA, so call us anytime! Call Bakersfield Bail Bonds® for fast, affordable bail bond help you can trust at 661-326-0601 or Chat With Us now. You can also visit us at 1330 Chester Avenue Bakersfield, California 93301. Are you looking to bail a friend or family member out of jail, but are worried about the cost? Do not fret, Bakersfield Bail Bonds® can help you out. We have been making bail bonds cheap and affordable for Californians for the last 30 years. There are a lot of places out there that require clients to put something up as collateral when a lot of money is involved. This can include getting a bail bond. Bailing a loved one out of jail can be a costly venture, which is why some bail bond required collateral.